Ho ho. It's that giving time of year. So children, today I'm Santa! I hope you have been paying attention. Listen carefully, because only the good kids will get the prize. 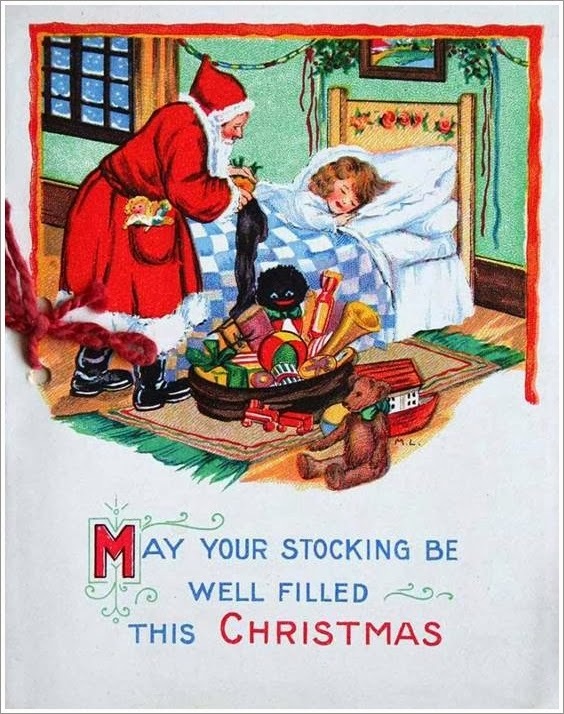 Since 1 December I have been posting vintage Christmas images. All the pictures have a certain thing in common. Have you spotted it? Not yet? Go back and have a look, you will spy it somewhere in every picture! Hint: it is related to our common passion. Once you know what I'm talking about, go to my Etsy shop HERE, and select a pattern that you would like to have for Christmas. Then leave a comment on this post, telling me what the mystery item in every picture is, which pattern you would like, and what email address I should send it to. Within a day or so, your wish will be fulfilled. One pattern per person please. Offer valid until 24 December 2013. And by the way, the 50% discount sale in my Etsy shop also started today. Use the coupon code MERRY50 to get all your purchases at half price. What a bargain! Well, that was easy, bears of course, in all shapes and sizes, my favourite is the snow bear you posted on the first day. I would like your little Muffy pincushion, she is so cute and begging me to make her! elgakoster@mweb.co.za See you Monday afternoon, have a great weekend. Pattern on it's way, Elga! Yes, you can contact me by email. Email address is in the blog post. When you contact me with your email address, please also tell me the name of the teddy bear pattern that you would like, there are several miniature bear patterns in my Etsy shop. I hope that the pattern will inspire you to start making bears in earnest. Sorry..was gabbing about my bears and such! The Teddy Bears are the stars in the photo cards!! Thanks Megan! Teddy bears!!!!! I would love the pattern of David and Rebecca thank you. You are so kind. It's me - Prudence, the teddy bear who write my Blog. TEDDY BEARS of course. It is teddy bears. Mom loves your Polar Bear, and I would like to surprise her, she worked so hard and long moving the family to Western North Carolina, I would love to surprise her. You are so kind, thank you beary much. What a thoughtful bear you are to write on your Mom's behalf. I hope that you will be very happy in Western North Carolina. I have sent the polar bear pattern to you. Be sure to wrap it up in pretty paper, and give Mom a Big Hug on Christmas day when you hand it over. I would love Tiny Tim, thanks so much. Lots of gorgeous bears, skirridsports@aol.com, teddy bear rabbit please. Oh thanks so much Megan for this! I do believe the theme is..Teddy Bears!! My fave! I would be so grateful if you could send me the Sabine in Cushion, she's so cute! Teddies!!!!! Kan ek asseblief die Sabine patroon kry. Hi en natuurlik is die tema bere. Ons passie! Ek kies Carinus, en my epos adres is antoinetteribeiro@webmail.co.za. Baie dankie vir al die mooi goeters dwarsdeur die jaar. p.s. sorry I forgot something in my previous comment: I would appreciate the Carinus Teddy Bear pattern. Thank you. There are all Teddy Bears in each picture. I would love the David and Rebecca pattern please. I have just come across your blog and etsy shop, what a lovely choice of patterns, I have bought three already. Thank you so much. Hi Megan - Teddy Bears of course! Seeing as I have not made a teddy bear for over 8 years, hopefully Carinus can kickstart the passion again!! Let's see if this works - my third try. Teddy Bears! I would love Schnozzle please, as I haven't made bears forever, but I am going to visit Henda after Christmas and she will get me back on track again! Teddy Bears! I would like Johnny Bear because this one is for beginners and this will be my first. Thank you. Teddy Bears. I would like the Johnny Bear pattern. Thank you. Megan this is so nice of you to do this for everyone. The answer is teddy bears. I would like Isabear. It was hard to choice. They are all so cute. You are very generous giving this out! 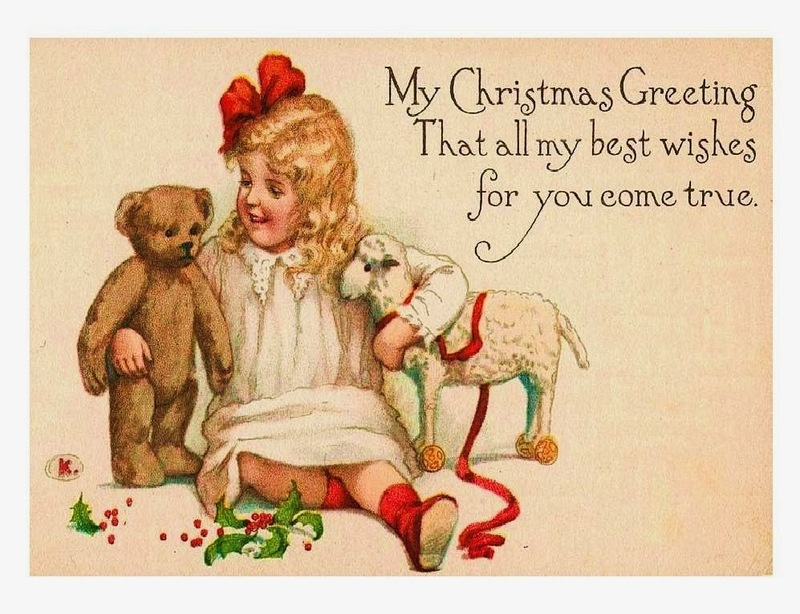 Teddy bears are in all postcards, always lovely gift for Christmas. I would like David Rebecca please, Megan. Teddy bears, awesome to see these vintage photos. Please may i request Mushu. Have an awesome Christmas and New Year. Enjoy your time. The answer is....TEDDY BEAR!! Thank you so much Megan for this great opportunity!! Becky is my Choice!! Merry Christmas!! The answer is .... Beary awesome TEDDY BEARS! Teddy Bears! I would love the following pattern; Artist teddy bear dragon PDF sewing pattern - Daunder. The mystery items are teddy bears. Never made a bear before but looking forward to making my first one. Could you please send me the pattern for Zac.